A fifth appearance of the year; when play in the forthcoming Seamaster 2018 ITTF World Tour Lion Japan Open concludes, China’s Wang Manyu will have completed the basic requirement of competing in five ITTF World Tour tournaments this year in order to gain an invitation to the end of year Grand Finals. Wang Manyu currently heads the Women’s Singles Standings (1,300 points), being ahead of Japan’s Kasumi Ishikawa (808 points), Chinese national team colleague Liu Shiwen (531 points) and Korea Republic’s Suh Hyowon (381 points). All are on duty at the three day tournament in Kitakyushu which starts on Friday 8th June and is preceded by a two day qualification event commencing on Wednesday 6th June. Kasumi Ishikawa is the top seed ahead of Wang Manyu with Japanese colleagues Mima Ito and Miu Hirano being next on the list; Liu Shiwen is the no.8 seed, Suh Hyowon the no.11 seeds. On ITTF World Tour duty for the fifth time this year but most pertinent is the fact that in her previous four excursions Wang Manyu has also reached the Women’s Singles final. 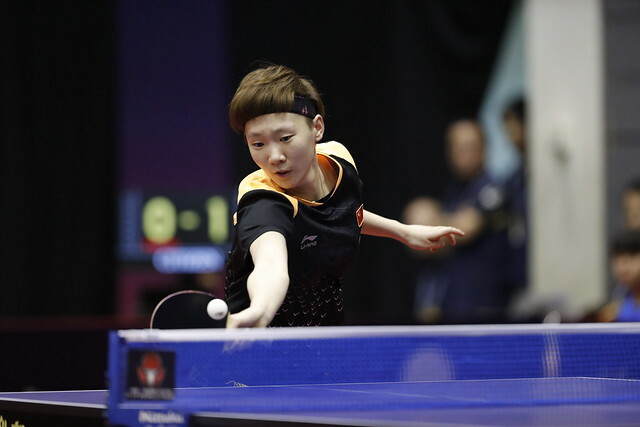 She was the runner in Qatar beaten by Liu Shiwen but she was the winner in Hungary, Hong Kong and China; in Kitakyushu, Wang Manyu seeks to make it three in a row, overall four titles in a period of less than six months. Three ITTF World Tour Women’s Singles secured in a period of one year has been achieved on several previous occasions but four in a year is out of the ordinary. In the history of the ITTF World Tour, which started in April 1996, only two players have exceeded three in a calendar year. Like Wang Manyu from China, Guo Yue won four times in 2007 but the player to catch is their Chinese national team colleague Zhang Yining. She won on four occasions in 2004, having the previous year succeeded five times in 2003. It is a record no player can match but most pertinently one within the sights of Wang Manyu.